Business Alliances | Jesco Projects (India) Pvt. Ltd.
Avior Control Technologies, Inc is a full service custom motor and motion control house servicing space, aerospace, down-hole and high reliability industries. Avior offers a diverse and flexible product line offering that reliably performs in the most demanding motion control applications. With decades of experience in aerospace mechanisms and systems engineering, Avior can assist you in selecting the best solution for your actuation needs. We have extensive experience and knowledge in motor applications, actuation control and energy absorption systems. CNME International Co., Ltd. (abbr. as CNME) is a joint-stock and Hi-tech company with the license for international project engineering and foreign trade. DuSense LLC are a team of sensor technologists, our company has grown from the need to provide Middle East engineers with a professional instrumentation, monitoring and testing services.Our motto ‘’Sensing Safety for the Middle East” reflects our main objective is to provide sensors, systems and services of the best quality for every project which can accurately verify key Plant, Buildings and Infrastructure are built and perform reliably within their safe limits. Special monitoring and surveillance systems. Special monitoring and surveillance vehicles equipped with TV, infrared and optical sensors and laser rangefinders. Special SW applications designed for control of various monitoring and surveillance systems. 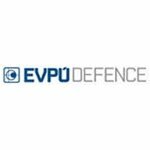 EVPU Defence is open to any cooperation on projects from the mentioned areas of our business activities not only in the Czech Republic but around all word. 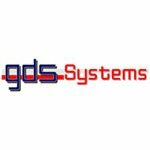 GDS Systems is an engineering based service company specialist in - design, integration and fabrication control systems, hydraulic packages, hydraulic power units and gas products to the Oil & Gas and renewable market sectors. We are accredited with ISO 9001:2008 and are members of the International Association of Drilling Contractors (IADC). JSHP Transformer (JiangSu HuaPeng Transformer Co., Ltd.) was found in 1967 and now it is a completely family owned manufacturer. JSHP tops the China Top 10 Transformer Manufacturers surveyed by the China Transformer Manufacturer Association. JSHP Transformer still proudly keeps ZERO field failure rate with thousands of transformers in operation around the world before June, 2011. JSHP Transformer is located in Liyang city, Jiangsu province and 40 minutes drive to provincial capital Nanjing City and 2 hours drive to Shanghai. JSHP Transformer production line focus on transformer only, power transformer manufacturing capacity is up to 750kV, 1000MVA. Microphase Co., Ltd. is a venture company specializing in research and development of nanotechnology and it was launched in the University of Tsukuba. We established the company with the motto "Useful research and development". Munro Instruments has been manufacturing high-quality instrumentation to measure, monitor and record the environment around us. Building on our rich history, we are developing innovative new products to invigorate the market. Nishimura Advanced Ceramics Co. Ltd. Copyright(C) Since its foundation, Nishimura Advanced Ceramics has been developing new materials and new manufacturing methods all the time based on its ceramic manufacturing technologies from over 90 years’ experience. Each of our employees is positively learning ceramic manufacturing technologies and continuing to improve the manufacturing capabilities of the company. NISSIN ELECTRIC Co., Ltd. is a Leading manufacturer of power system equipment and charged particle beam-oriented equipment. Power system equipment is necessary to ensure reliable power supplies. Charged particle beam-oriented equipment includes high technology products such as ion implanters, electron processing systems, and thin-film coating equipment. NISSIN also provides a variety of engineering services ranging from installation and adjustment of high technology based products to advanced technical treatments. 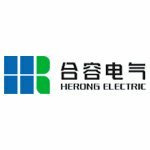 NHVS, parent company of Northeast Electric Group High Voltage Switchgear Co.,Ltd., is expertized in sales and manufacturing on high voltage switchgear products. 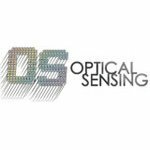 Opto System Co Ltd designs, manufactures and supplies high-precision machines and systems for the LED, LD,compound semiconductor and related industries. Our equipment includes scribing, breaking, probing, sorting, inspection, chip measuring, bar handling, bar stacking,bar unstacking, visual inspection, package inspection, grooving machines and wafer slicers. Since its founding in Madison, Wisconsin in 2005, Phoenix has designed and manufactured the World’s strongest commercial neutron generators. Phoenix's commitment to commercializing nuclear technologies for practical applications has inspired our long-term goal of producing clean, fusion energy. Our achievements have enabled Phoenix to market our technologies across a variety of applications within medicine, defense, and energy sectors. Please refer to our Industries page to see real-world applications of the science behind our products. Structured Materials Industries, Inc. (SMI) provides custom solutions for quality made cost-effective CVD tools, components, device structures and materials. Since 1992, we have worked with researchers, developers, and entrepreneurs to generate custom solutions that meet their needs and thereby giving them with a competitive advantage. Our company has an in-house applications development laboratory and has grown over 60 different materials. The company is staffed with experienced professionals providing technical assistance for demonstrations, process development, tool or component customization, installation and implementation, and product production. The VON Corporation is the world's most trusted name in underground cable fault locating and high voltage testing. The VON Corporation was founded in 1958 by C.F. von Herrmann and developed the world's first truly one-person portable, air insulated 100kV DC test set. From this beginning, the VON Corporation has grown to serve a wide variety of needs of electric utilities and related companies. Family owned and operated, the company serves a worldwide customer base from its main office in Birmingham, Alabama, U.S.A.
Thermocable Is a world leading manufacturer of cable based sensing and detection technologies based in the UK.